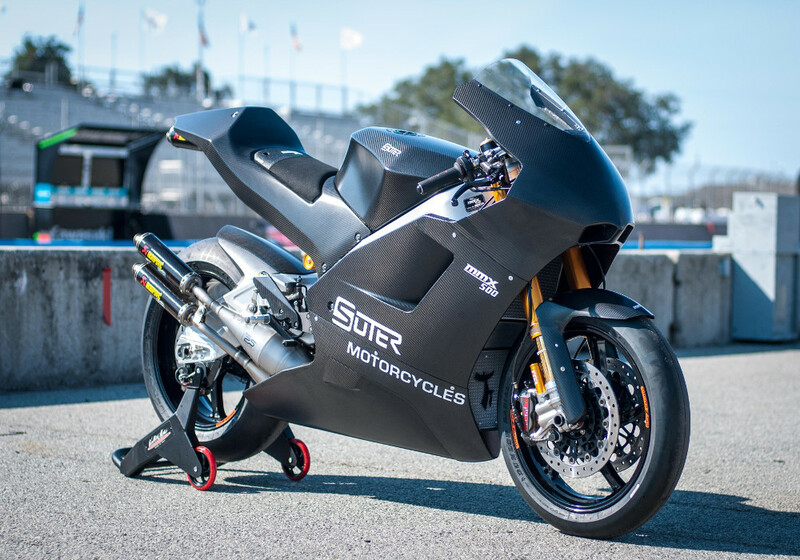 If the Swiss executive manufacturer (though some may not consider them as giants in the motorcycle industry), Suter ended up leaving the Moto 2 world championship, with the sole aim of devoting all there strength and attention to the MMX 500. 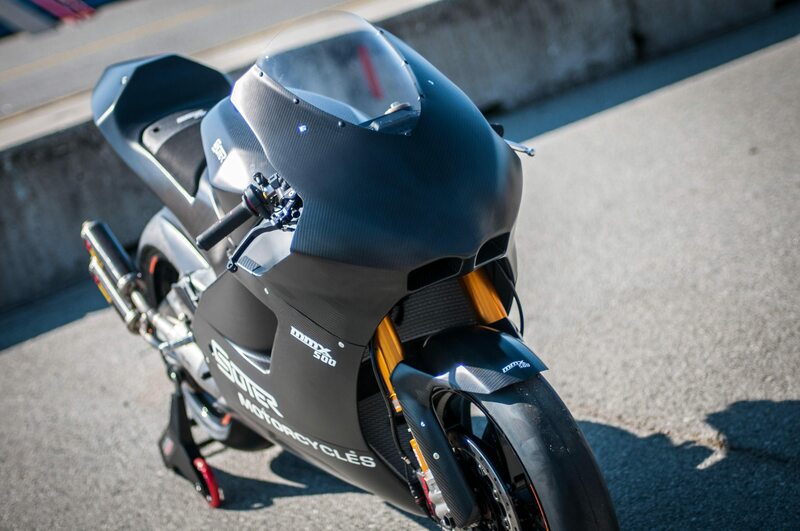 The Suter MMX 500 is the perfect illustration of motorcycle racing bikes. It is made up of all that you would ever think or imagine that would make a racing bike what it is supposed to be. When we talk about a racing bike that is able to deliver 195 Hp and it barely weighs 127 kg then you understand that everything has been conceived, built and optimize in such a way that you get just the best from it when you ride it. If such a gem would cost barely 120,000 Swiss Francs ( which is about € 110,000), it is with reason. This is simply because those who end up in possession of this bike will be given access to special formula. The legendary rider Ian Lougher is celebrating his come back to the Isle of man TT this year as he rides a Suter MMX 500. Actually, he is recognized as one of the riders who has succeeded in his undertakings given the number of races. With a record of 18 Victories during the Ulster Grand Prix event, 10 Victories at the Isle of man TT, and 8 victories at the North West 200, there is no reason he should not be considered among the greatest of all time. Having such a rider’s point of view on a bike’s performance will definitely be a plus. 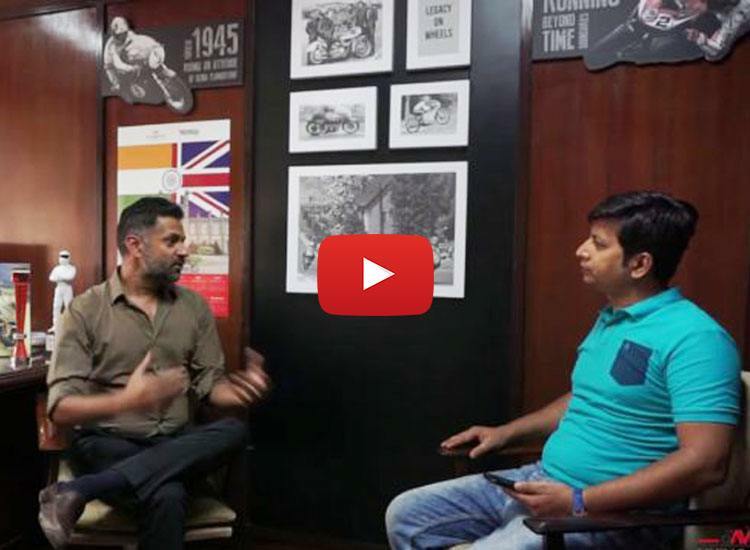 This is why his opinion on the bike’s performance is worth taking home as he said that the feature that should be considered as the strong point of the bike is its low weight and not the high straight-line speed which it has. A low weight for a bike is a guarantee that the bike will be stable at very high speed and I wonder which riders don’t fancy speeds. 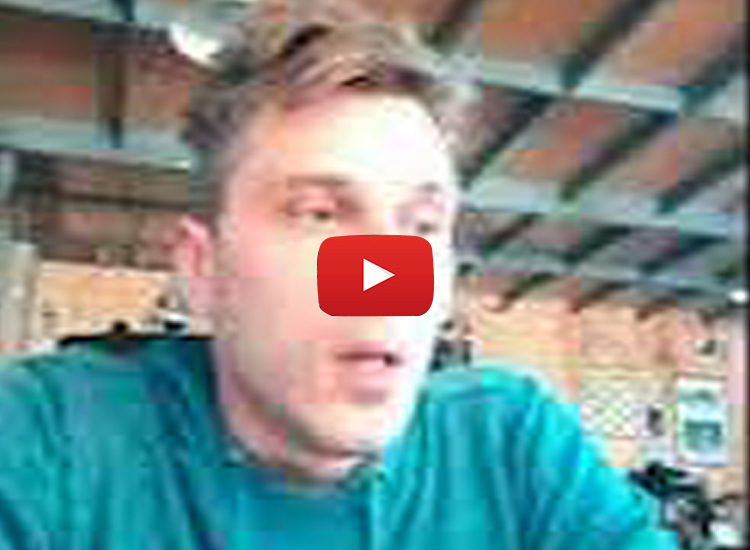 Talk less of the racers who actually live for it. This bike is identical to that which was used by The legendary rider Ian Lougher back in the year 2106 during the Isle of Man TT competition. It can be recalled clearly that during this event, he had a record average speed of 194.7 kmph. 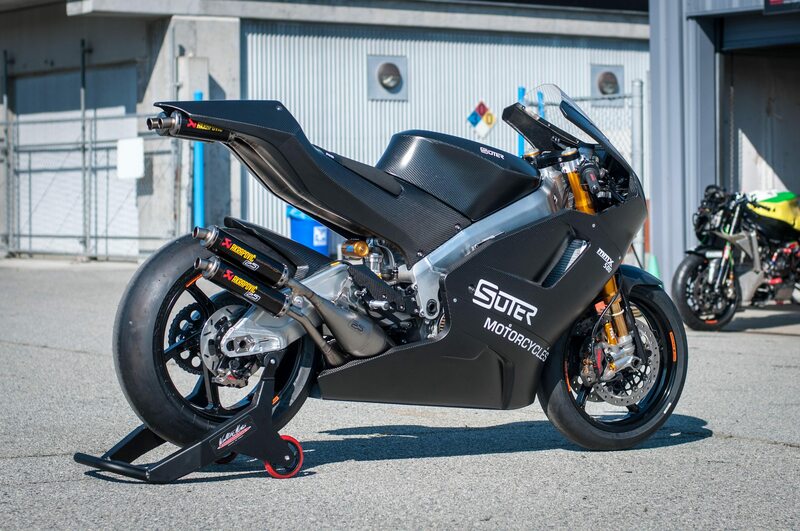 With the Senior TT competition that happened this year, there was a great turnaround of events as the Suter MMX 500, was the only bike which is two-stroked to have gotten into a race with bikes which were all four strokes. It actually ended up carrying out the competition within two different classes. One of which was for superbikes (RST) and the senior races as earlier mentioned. When it comes to the power of the bike, we have a 580 cc engine, which (as we mentioned earlier ) is a two-stroke. Yet amazingly enough, it is able to come up with a 197 PS at barely 13,000 rpm. All of this while pushing a weight of 127 kg. 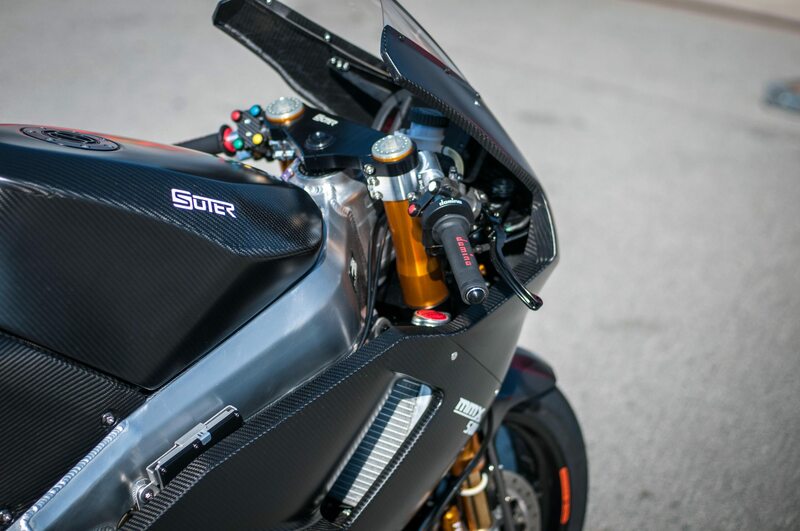 Still taking into account the opinion of Engineers at Suter, their bike can attain a speed of 310 kmph. In one of the conferences (interviews) given by the manufacturer, it is alleged that power output of the bike has been improved upon so much so that it is guaranteed that its rider Ian Lougher will definitely be able to go faster and faster and even beyond what he had previously achieved as top speed. Before the race, and with all the hype that surrounded the bike, Ian laugher couldn’t help it but make a statement about how excited he was to find himself again racing with such an impressive bike as the Suter MMX500 during a prestigious event such as the Isle of Man TT. He went ahead to appreciate all the effort which had been put into the bike both by the manufacturers and those who conceived such a gem. Actually, the truth is that there have been very few or even no 500cc two-stroke bikes that have come out to the public. A very limited number of them have been produced and immediately leased out Grand Prix racing teams. So, taking a critical look at it, we realize that there has almost never been any of these bikes available to the public. That means that if you were to find yourself at the open market looking for such a bike, you won’t lay eyes on any. Well, that was the case until Suter decided to take action ☺ . When it comes to the production, we barely have 99 units of this bike that were produced. This tells a lot about the availability of this bike same holds for the parts to change with. You will not wake up and find a piece of this bike on the open market. There is no concrete reason that has been given for having such a limited production was due to the excess effort that was put in conceiving and producing every single Suter MMX 500. It is but normal that if so much time and effort are spent on getting something done, you are going to find few of them there. With respect to the Engine, as earlier mentioned this is a 2 stroke Motorcycle that can reach the 195 horsepower mark and even pass it according to certain riders. It is a 576cc Mectronic electronic port with fuel injection as its own means of providing fuel to the engine. This definitely makes the Suter mmx 500, one of its kind. Especially given that it is not on a daily basis that we find a two-stroke with such specifications. As of what concerns the weight, we are definitely expecting that with such specs, the bike would weigh a ton but amazingly enough, it barely weighs 280 pounds (wet). 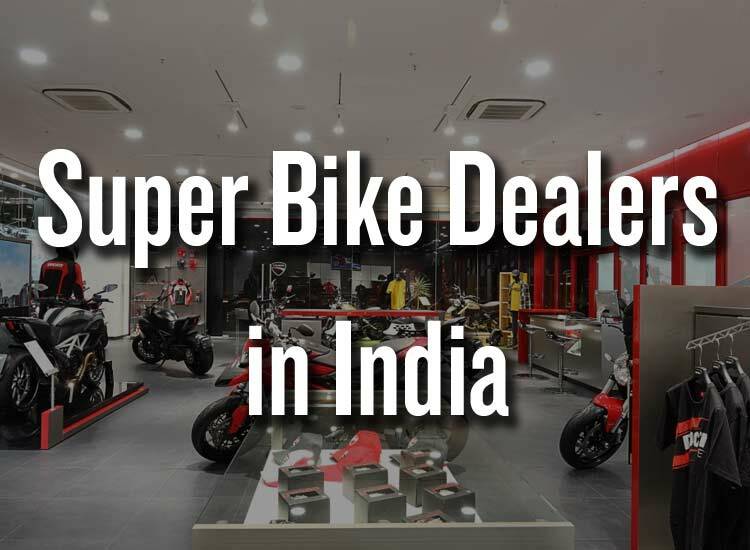 The suspensions were taken care of by no other but the Automotive Industry company Ohlins which has also been in charge of the suspension of many bikes. These Sweden giants have been the reason why most bike suspensions are able to deliver the grip that most riders search for. At the front we have Ohlins FGR300 and at the back we have Ohlins TTX36. The part of the bike that gives it the traction required are the wheels. Which why suter went in for OZ aluminum standard. Optionally, we could either go for wheels made of magnesium or carbon fibre. The brakes, there is none but the Manufacturing giants: Brembo who are in charge of producing them. At the front we have the Brembo GP4-RR 36/32 caliper. At the back, we have the Brembo P4.24 caliper. Its dimensions are barely 218×4 mm. Unlike the braking system at the front which machined radial of diameter 19/18, the braking system at the back is machine brake and coupled to that are an integrated reservoir of diameter 13 mm. For those who are interested, there are upgrades which are available. It is no surprise that when you are conceiving such a gem, you should aim at making every single part of it great. Which is why nothing was forgotten even at the level of the display. This explains why the dashboard is made by I2M Electronics Engineering. Which such a display, even in the greatest of sunlight shinning as bright as ever, the rider will always be able to view what is being displayed. 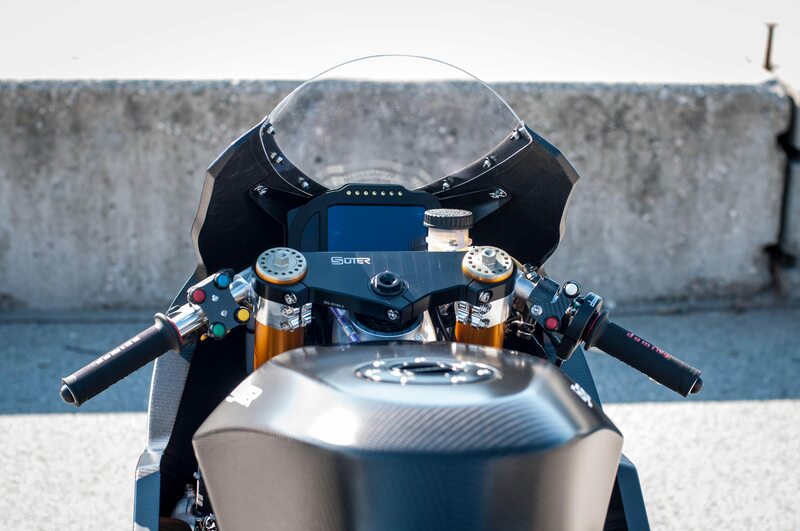 Among the features being displayed, we have GPS, a record of the time taken for every lap, the best split and unfailingly the speed of the bike too. As for the Liquid Crystal display, It displays a couple of features among which are the temperature of the water, gear, rpm and the shift lights? 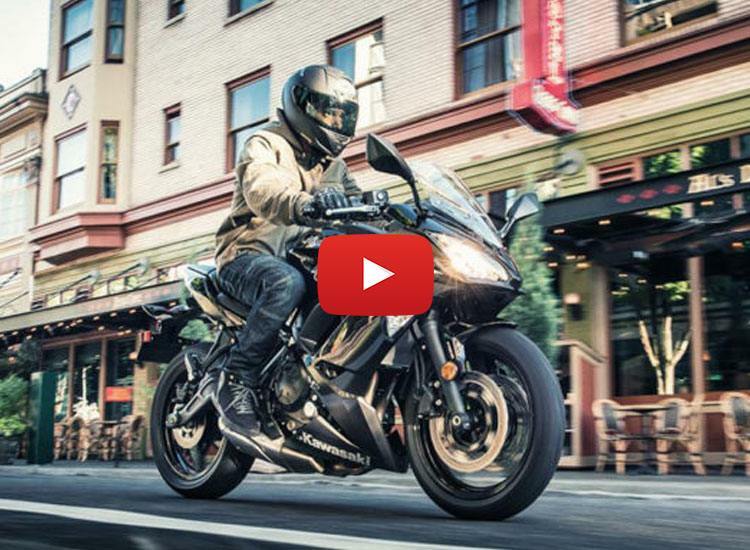 Just like almost every other bike, the aim is for the riders to be able to enjoy the speed. Which is why a couple of amelioration’s were done to the bike. With this change in components, in order to keep the weight within a moderate range, the engineers were to use the most suitable but lightest material possible. The best option here was carbon fiber which was at the same time light but could also protect the bike parts during crash incidents. As for the Chassis, it made of Aluminium. One interesting fact worth noting is that the chassis was completely hand-welded. This makes it even more captivating. 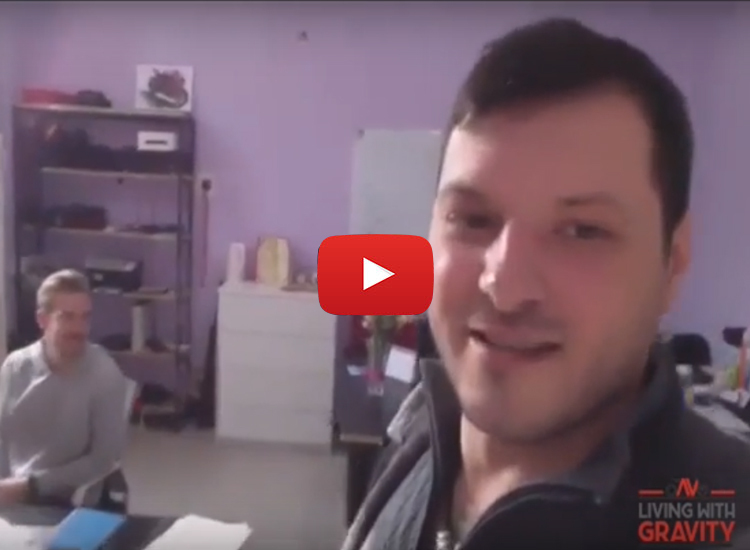 As we all know, with the advent of technology, very little is left for the hands to do as almost every single industrial process is being automated. As such, to be able to find a bike which has its chassis built / welded by bare hands quite amazing. There is the belief that when it is hand-welded, it is practically flawless as every single spot done and reviewed in order t assure a perfect result. 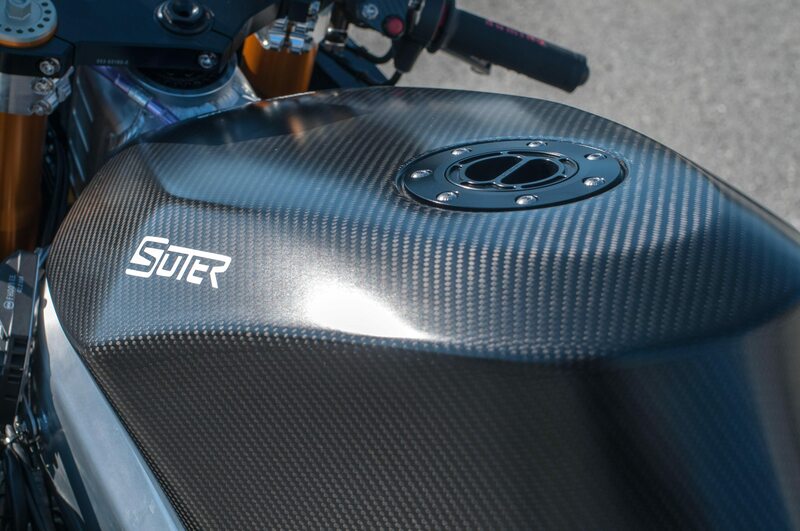 With its Origin In Zurich-Switzerland, Suter has been a renowned bike producing company. 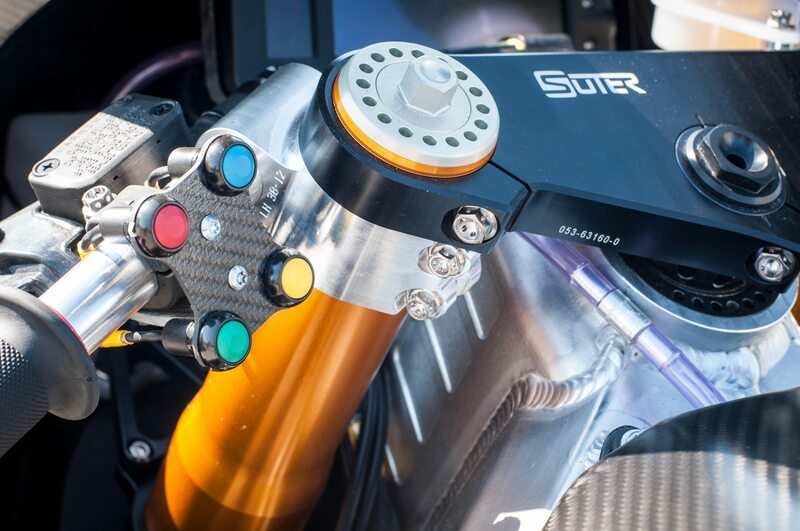 In the year 1996, the Suter Racing Technology was created. The Year 2012 marks one of its most remarkable years a MotoGP prototype bike was created solely for the season in 2012.This bike was tested by the VDS racing team. Rumor : New Honda CBR 1000 coming in 2020?